Great news to report about oysters in, of all places, one of the most stressed river systems in the entire Chesapeake Bay. Chesapeake Bay Foundation (CBF) scientists are finding lots of healthy, fast-growing oysters in Norfolk’s Lafayette River, a tributary of the Elizabeth River. 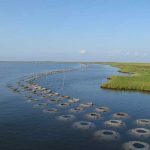 The discovery bodes well for improving water quality – and restoring a thriving oyster population – in this historic river. but troubled waterway whose four branches (Western Branch, Eastern Branch, Southern Branch and Lafayette) drain four cities and some of South Hampton Roads’ most industrialized areas. As a result, the Elizabeth system is among the Bay’s worst pollution “hot spots,” with some areas containing bottom sediments laden with toxic chemicals from decades-old pollution.The Lafayette River, bordered largely by homes, museums, marinas, and marshes, is less severely polluted but remains among the most urbanized rivers in the Bay watershed. It suffers from many of the Bay’s classic problems: too much runoff, too many algal blooms, too much bacteria, and too little oxygen. CBF, the Elizabeth River Project, the City of Norfolk, and other partners are working with theVirginia Institute of Marine Science to restore water quality in the river. All believe that oyster restoration will be integral to success. To that end, CBF is expanding the number of volunteer citizen oyster gardeners in the Lafayette. Additionally, last summer we placed 50 concrete reef balls, many of them coated with a skin of living baby oysters, or spat, in the river to create a manmade reef. 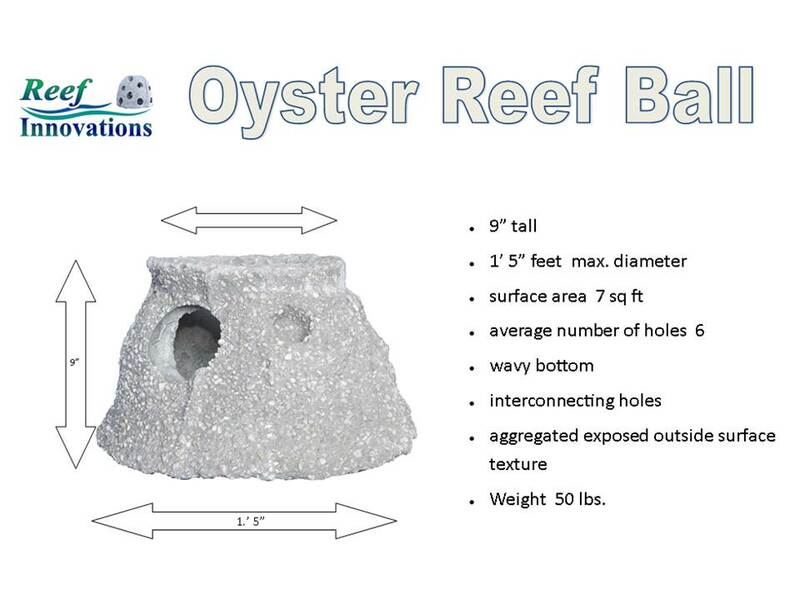 We hoped the reef balls would prove suitable homes for the baby oysters as well as attract and grow more wild oysters. CBF scientists also began a comprehensive survey of the oyster population in the Lafayette, examining 22 miles of shoreline to look for oysters. We also recruited scores of waterfront residents to participate in a “spat catcher” program. Spat catchers — small cages containing 50 recycled oyster shells – were suspended from more than 80 residents’ backyard piers and docks. We wanted to see how many free-floating baby oysters in the river would attach to the shells. By later comparing the numbers of spat in the various shell cages, CBF oyster scientists hoped to determine which parts of the Lafayette may hold the greatest potential for future oyster restoration efforts. “This is one of the most exciting things I think we’ve ever done…We had some of the most remarkable spat sets on the shells that I’ve ever seen in the wild, and especially for the Elizabeth River system. Some shells had spat numbers that rivaled what we produce in our spat-on-shell tanks (at CBF’s oyster farm). “ For example, the shell in the photo at left had a remarkable 28 spat attached (photo by Chip Finch). A few days later, Leggett, CBF Oyster Restoration Specialist Jackie Shannon, and CBF Reef Ball Technician Laura Engelund inspected the concrete reef balls CBF placed in the Lafayette last June. Pictures are worth a thousand blogging words, so take a look at what’s happening in the Lafayette. What does it all mean for the river’s future? The preliminary data suggest there’s a healthy oyster population in the Lafayette River, says Leggett (below, center, with Jackie Shannon, left, and Laura Engelund, right, and one of the Lafayette reef balls). CBF and its Lafayette River partners will be working to address these issues in the months and years to come. Stay tuned for more good news! I read your post. I am a driller but I drill for environmental testing. I like to keep informed so thanks and keep on posting. It was really interesting because I live in Virginia and my Mom lived on the River you are speaking of in this post. I am pleased to here that progress is being made. Thanks again. I really enjoyed it.